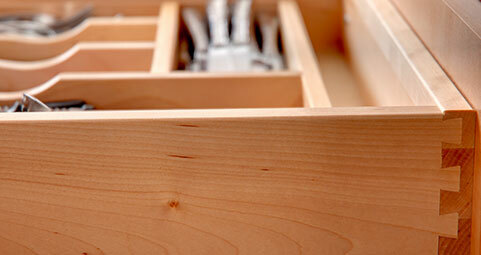 Choosing custom woodwork from Roland's Joinery means more than a quality product. It's also about a quality process from start to finish. We encourage you to make a list of details and ideas, and if possible provide photos of what inspires you. After an in-home visit to discuss your needs and take measurements, we will create a detailed drawing of your project and provide a budget estimate. Once the design is approved, we bring it to life in our shop, where we combine state of the art equipment with old-world craftsmanship. We use only quality stains and varnishes to provide you with the best finish available. Careful installation in your home is the most exciting step.